Fly Away Quilt Pattern: Use Up Those Scraps! 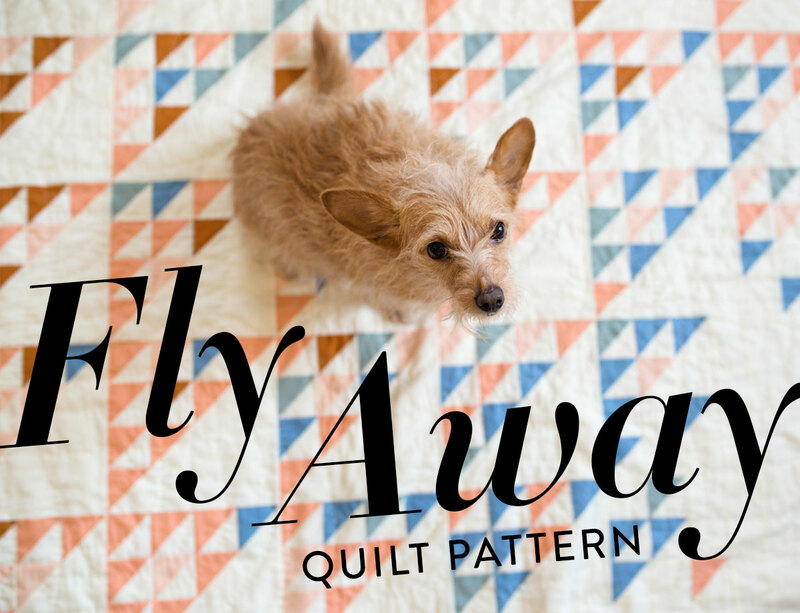 The Fly Away Quilt Pattern is available for instant download! Even though the Fly Away quilt pattern originally made its debut in Modern Patchwork Magazine in 2016, and then continued its journey across America to be apart of QuiltCon East in 2017, that is not where the life of this quilt truly began. The inception story of Fly Away is...well there's no other way to put it, it's a bit heartbreaking. Even though two years have passed, I still feel a twinge of pain thinking about what this quilt and I went through together. So let's start at the beginning. In the fall of 2015 I was contacted by a senior marketing director at Coach. I know. I was shocked too. At first I thought I was getting punked. I'm sure I even offended my contact during our first phone call because I kept saying Coach like, "Oh sure, Cooooach." She could definitely hear the air quotes in my voice. Eventually she was able to convince me that she was who she said she was and I went from suspicion and doubt straight into the sky with a head full of big dreams. 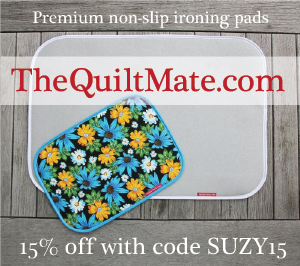 At this time in my life, I was still working as a full-time graphic designer and Suzy Quilts was just a side hustle. Of course I immediately started thinking, "This is it! My big break!" 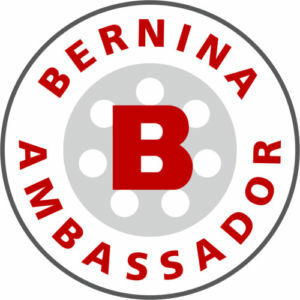 After many contracts were signed and I got shuffled around from the marketing department to the art department and then to the special events department, the whole time my head and my heart kept expanding with the possibilities of what this collaboration was going to mean. As the project details began to unfold, I was starting to grasp the enormous scope of this project. Coach wanted me to be part of a team of American artisans building displays in their 12 flagship stores located around the world as part of the 100 year anniversary of their brand. I was to make one quilt for each store. I was possibly even going to travel to the different locations to help install them. And let me tell you, these meetings were exciting! This was a group of creatives with a huge budget and my imagination was the only limit. We were brainstorming about making quilts with leather and suede and various metallic fabrics. I was sent top secret swatches, samples and purse mockups all as sources of inspiration. Guys, I was ecstatic! I designed quilt after quilt, the whole time envisioning them hanging in London, Paris and Dubai! Of all of the quilts I designed, my very favorite was Fly Away. At this point, you're waiting for that inevitable shoe to drop, because you know this is not a happy story. After a month and a half of working on this project, one Friday afternoon I got an impersonal email from my original contact telling me that they had decided to go in a different direction and no longer wanted to use quilts in their displays. They were canceling our contract. I don't think I need to elaborate on how reading that rejection letter made me feel. I will simply say that after reading her email 5 to 10 times, I drew myself a hot bath, uncorked a bottle of red wine, and ugly cried in the tub. I never planned on sharing this story, but somehow it doesn't feel right to release this pattern without giving you a glimpse into what it means to me. Two years ago this quilt represented my "ticket to the top." Or whatever that means in the quilt world. I wanted my quilting business to be my full-time job so badly and when Coach broke up with me, I was convinced that I would never ever get to do that. Fly Away has bitter roots, but years later it is a joyous reminder to me of what day-in, day-out hard work can achieve. Yes, I obviously wish that collaboration had worked out. But you know what? 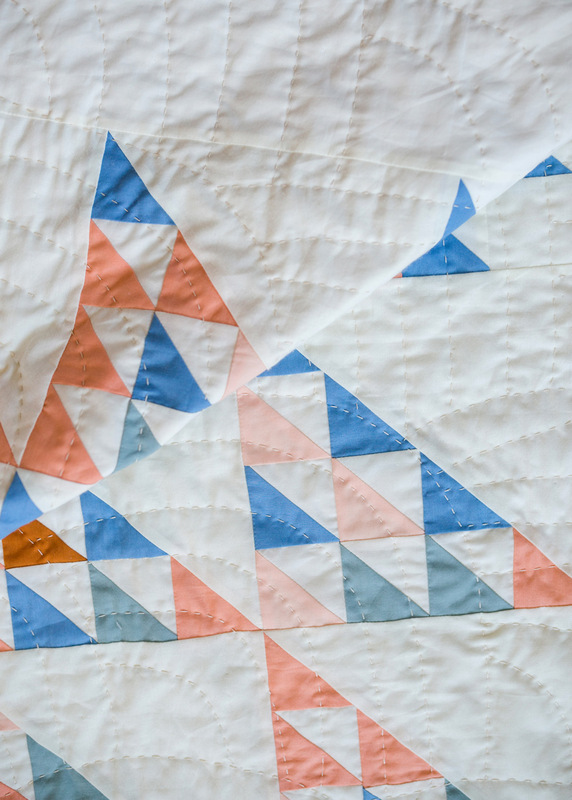 Two years later, this quilt design is making its comeback. And if you live in London, Paris or Dubai and you make a Fly Away quilt, please oh please send me a picture! 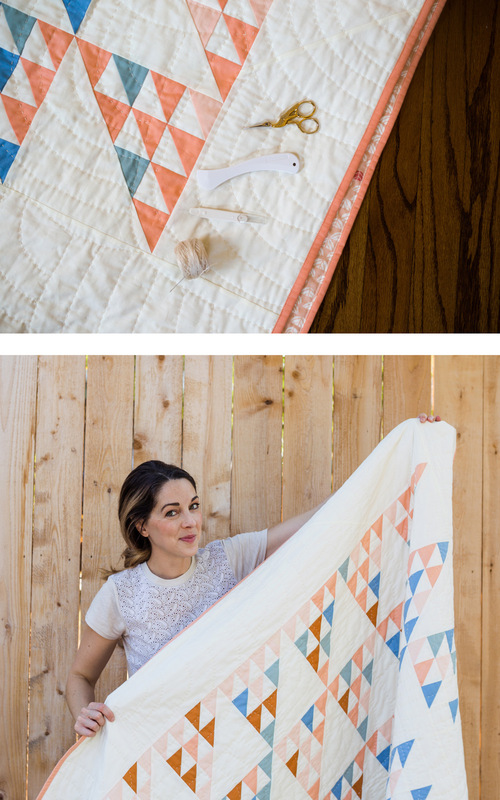 I curated this beautiful linen and cotton quilt kit specifically for SewMondo as part of the Fly Away pattern release celebration! From Sept. 21 - 25, SewMondo and I will be hosting a FREE giveaway of this kit on Instagram. All you have to do is follow both @sewmondo_online and @suzyquilts and tag someone on the Instagram post to enter! 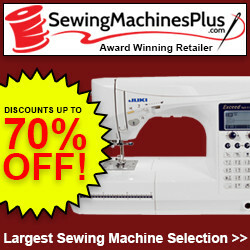 You can purchase the kit here at SewMondo. If you win the giveaway, your kit purchase will be reimbursed. Sometimes picking fabric for a quilt can be difficult. It's such an investment, you don't want to mess it up! Well, in addition to various color combinations and a coloring sheet included in the pattern, take inspiration from some of these Fly Away quilts. The Fly Away quilt pattern includes king through baby quilt sizes. This chambray, cream and yellow quilt is the baby size, measuring 40" x 48". Autumnal Fly Away Quilt Kit + Batting Giveaway! I have partnered with Fabricworm to bring you this buttery soft organic poplin quilt kit. Enter to win this quilt kit PLUS the same bamboo batting* from Ever Sewn that I used when making this quilt, by simply leaving a comment on this blog post with your favorite fabric currently on sale at fabricworm.com. I will pick a random winner Monday, Sept. 25. Purchase this Autumn-inspired quilt kit here! *If you read my blog post about batting, you know that bamboo is pretty much as good as it gets. This is a wonderful pattern, very fresh! And Fabricworm carries Birch Organic Fabrics! I love their Charley Harper line. Looked around, and of course its so hard to pick just one! But I was really drawn to the Erin Dollar for Robert Kaufman, Arroyo Essex LINEN, Herringbone Stone! Beautiful. And Great pattern!! Oh Suzy, I am so sorry the Coach contract was broken and how impersonal of them to tell you that news in an email! They should’ve called you like they did when they first asked. News like that is hard to take especially when you’ve already invested so much time, thought and effort into it. It was definitely their loss. Move on (you have!) and try to think of it as something that wouldn’t have worked out right. So look at your baby (Fly Away!) and realize that good things do happen when bad is involved. It is a beauty and so many variations make it look so different. Carry on, Suzy, and keep your eyes to the sky!!! One fabric I love from Fabricworm is Laura Gunn’s Koi Garden in Tiny Droplet Blue. Wow, very touching share! You are beautiful. I just started my sewing projects and am trying to learn fast! Loving “Dear Stella, Jetsetter” series and anything mermaid. I have a ton to learn and am enjoying the process. Thanks for sharing your art and beauty. It’s so fun to see someone close to my age interested in quilting. I appreciate all the hard work you put into designing your patterns and making tutorials. So thank you! My favorite fabric at Fabricworm right now is Cotton and Steel’s Beauty Shop! This is such a gorgeous quilt! It’s so beautiful in every color!! What a roller coaster ride your ‘Coach Experience’ was with its wonderful high and dumpster low BUT this beautiful quilt may not have come about without it! Yes, yes, yes! I love this quilt so much. I’ve been waiting for the release! You are a pattern designing goddess! I just love the clean designs. Keep giving us more!!!! I can’t wait to make it! Can’t wait to get this one started! I love the Birch Organics, specifically Charley Harper! Love all the iterations of your pattern. It’s interesting how a simple design can yield a complex pattern. As for Fabricworm offerings, I really like anything by Allison Glass. I am loving their Camp Sur 3 line right now! such a beautiful pattern! sorry it had such a rough beginning! Love this simplicity of this pattern! This might need to be my next quilt. Love the light pink and light blue combination at the bottom. Man, I would definitely be ugly crying over that. Thanks for keeping on! I really love the colours in Birch Organic Fabrics, Mod Basics Curated by Suzy Quilts, Solid Blooms. I absolutely love April Rhodes Art Gallery Canvas Collection! And I absolutely love this quilt! I love this design! I’m new to your site but your designs are all so gorgeous I can’t wait to dig in. Everyone’s getting quilts this year! I have been waiting for this to release, I am so excited! On Fabricworm.com I love the Cotton + Steel Lil Monsters Trick or Treat fabric. I told you on Instagram I would make this as a king size!! Also, I need to make a baby quilt! Pick me!! Beautiful quilt! Congratulations on your big day today! So fun following you on Instragram – you always make me laugh. Can’t wait to make this quilt! My favorite fabric of the moment would have to be Cotton + Steel Beauty Shop. Love the pattern!! I especially like the ones with the dense straight line quilting, really nice! Eeeeep! The day is finally here! I’ve been dying over all the variations on Instagram! So many lovely fabrics to pick from. Especially drawn to Good Life by Bonnie and Camille. Thanks for sharing all the color options for your quilt pattern. Gets my mind spinning with options and creativity! Since I have a castle lover to make a quilt for, my fabricworm choice is Rae Ritchie for Dear Stella, Fable, Castles Titanium. Thanks for the chance to win. So generous of both of you. I love this pattern, it is so versatile. Just the various colors that you use are inspiring. You are too good for Coach! Absolutely love this quilt! You are so talented! Love your choice of colors and modern design! Jay-Cyn Designs for Birch Organic Fabrics, Camp Sur 3, River Rally is absolutely adorable! Love this pattern! The colors and flowers of Rae Ritchie for Dear Stella, Fable, Floral White are dreamy! Definitley my favorite right now! Thank you for sharing. The way you write makes me feel like we are old friends sitting around a table, talking candidly. I have missed seeing you on IG stories often. Keep on keeping on! xoxo! I love the colours used here. My favourite is Swan Lake by Patrick and Andrea Patton for Birch Fabrics! Thanks for sharing your story. That bites!! I like to think that somehow this is where you are meant to be. That things did not work out with THAT company for a reason. Who knows?! 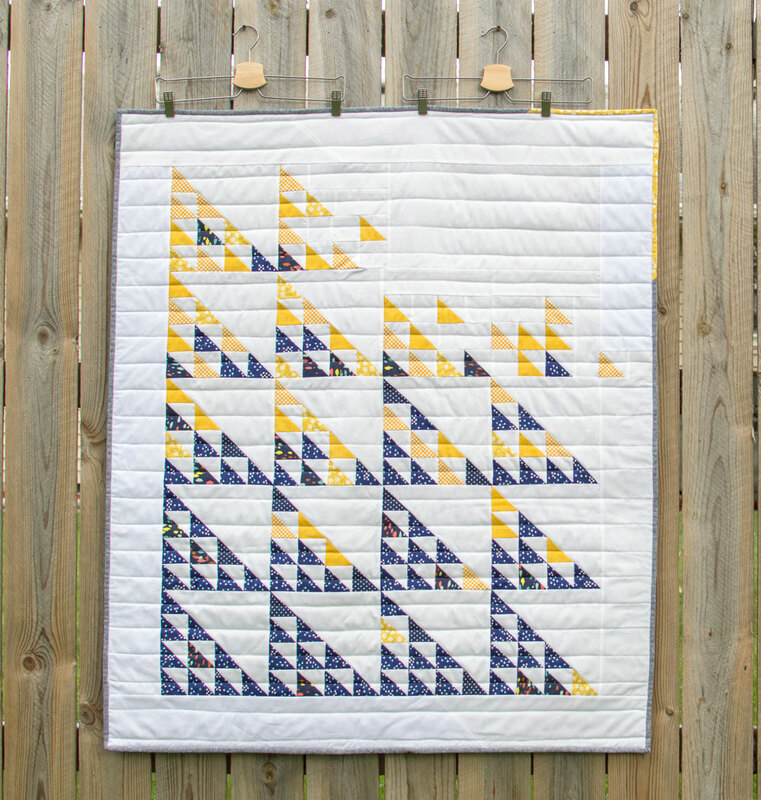 Congrats on the release of your Fly Away Quilt Pattern! My favorite fabric is the Western Birds by Charley Harper that I 1st saw in your quilt. I bought a few FQs, but drool when I see it. Awesome quilt! Luv the story also. I have been wanting the Maker Maker line from Sarah Golden for Andover. I am totally drawn to the Modern ONE…and I am totally drawn to Charlie Harper’s Western Birds–especially that Mountain Bluebird. Also, Suzy Q., I have made a four connecting pieces inspired by your workshop in SEW TO SPEAK in Worthington Ohio. Please come again..
Wow, so many beautiful versions of this pattern. I love the Arroyo linen version by SewMondo so that’s my current favorite fabric at Fabricworm! Those of us in the Frozen North Country need plenty to keep us warm and busy throughout the long months ahead. Looks like I’m going to be having a Suzy Quilts Winter as I just can’t seem to get enough of your patterns and wonderful color combos. Awesome quilt and backstory! 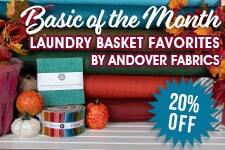 Luv the Maker Maker line by Sarah Golden for Andover. Love your new pattern. Thank you. I like Moda – Creekside mornings. Thank you for sharing this story. Without Coach’s bad behavior, we might not have been able to see so much of Scrap. Fabric I’ve been looking at is Winter Walk collection. Mine would be the Florabelle Sedona fabric bundle!! I am in love with the colors!! This quilt pattern is beautiful as are all of your patterns. Fabricworm is awesome and my favorite currently is Jay-Cyn Designs for Birch Organic Fabrics, Camp Sur 3, Blue School! I love this pattern! Coach doesn’t know what they missed out on! I can’t wait to make this one! I love the quilt…and the name! The most scrumptious fabric at Fabricworm is the Birch Organic Mod Basics in solid Bloom. All the colorways are beautiful, it’s hard to pick just one. Wonderful pattern. I’ve been awaiting this day for so long! Thank you for sharing your story! All your heart shows in this pattern! It’s perfection! Heavens! It’s perfect! I WILL make this quilt. I’m loving the Leah Duncan fabric on FabricWorm. Love your quilts! This pattern is amazing!! You are so talented as a designer! Love your choice of colors! Alison Glass makes any quilt wonderful! I love this quilt! On fabricworm, I am in love with all the Alison Glads chroma bundles. I’ve been looking at Robert Kaufman, Digital Fashion RAYON/LAWN, Watercolor Pacific on fabricworm for a while now. The lingering llamas in Tucson is so cute! This quilt pattern is also adorbs! You’re such a rock star, Suzy! Good for you for keeping on. Small business life is hard, but I am SO grateful for your patterns, tutorials, and inspiration! You’re one of my favorite quilt resources out there. Thanks for all you do, and for this great giveaway! Suzy, this pattern is gifted. So nice in so many different fabrics. Thank you. As for nifty fabrics sold by fabricworm, Kate Spain’s Berry Merry Reindeer Games in cream is pretty enough to make me design a quilt around it. Suzy! What a great pattern. I can’t wait to make it. Am I really supposed to be able to pick my favorite fabric?! 😂 I’m interested in the Rifle Paper Co fabric. Happy Release Day!! I love this quilt! So versatile. I love the Rae Ritchie for Dear Stella, especially the Journey on line. So precious! I’m loving the Moda, creekside line right now! So cute!!! I CAN’T WAIT TO GET IT AND FLY AWAY WITH YOU! 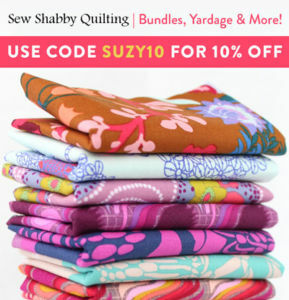 Thank you for your endless hours of inspiration to a fellow quilters, who loves SUZY QUILTS. Ahhhhhh What a sweet comment! I love this pattern! I can’t wait to make it and I am pretty sure I will need to make it in a king!! I love LOVE LOVE the Charley Harper line and I know a baby who recently made her appearance will need a quilt out of Charley Harper fabric soon! Stunning! Especially love all the colors in the first one you show. I’m a sucker for black and white and mustard yellow together. Can’t wait to try out this gorgeous pattern for myself. I’m a “blue jean baby” I love the chambray quilt. I personally love the Japanese imports Hipster Kitties and the French Bulldogs! I love this pattern! It looks like something I could actually accomplish! At Fabricworm, I love the Nani Iro and the C+S Beauty Shop, especially treat bowl. Oh my goodness!! I am so proud of you for sharing the Coach story!! I have always loved the way you handle disappointments and turn sadnesses into creativity. Your humor and positivity are an inspiration to all of us!! Now the Fly Away Quilt has a special meaning to everyone!! This is a beautiful quilt pattern. I love Amy Butler’s Soul Mate collection. The colours are beautiful. What a sad but inspirational story! I love knowing the special background of this quilt. Do you ever plan to share the other patterns you designed for Coach? or is this the only one you felt was worth carrying forward out of that sad time? 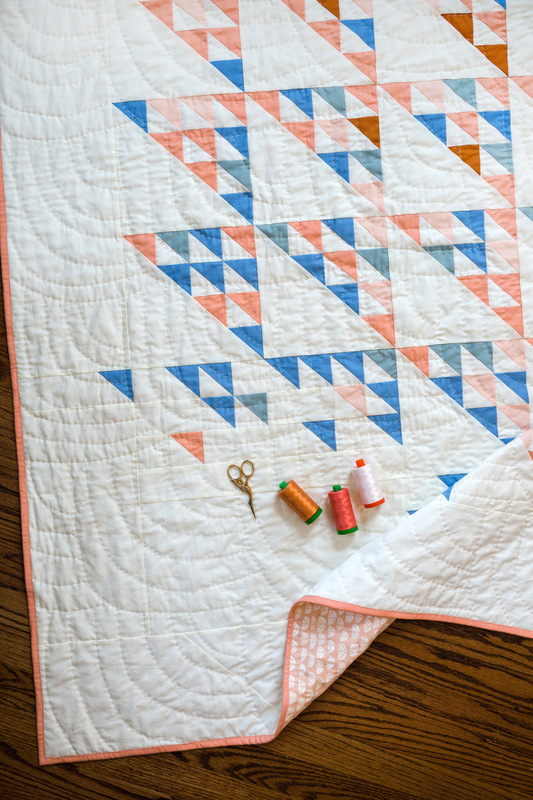 I am SO excited this quilt is out in the world! 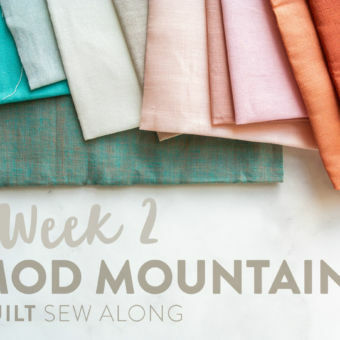 I’m a sucker for solids, and I love your Mod Basics Solid Blooms that you curated on FabricWorm. They’d look beautiful in Fly Away. Also, I noticed a little typo in your post — I’m a former newspaperer so I can’t help it. One of your subheadings says “The Flay Away…” instead of Fly away. Love your work so much! Thank you! haha what a terrible typo too! Thank you so much for sharing your story. You are a real inspiration. Your work is beautiful beyond words. Absolutely love everything you do!! Western Birds by Charley Harper speaks to me. Your Flyaway pattern is adorable and versatile in diff colorways. Love it! I’ve been looking for a quilt to make my daughter and this pattern is it! what a beautiful pattern! Maybe once I finish the current top I’ll try this one out 🙂 There’s a lot to like on fabricworm but I think my favorite is the Moda Big Sky Grizzly Stone (or any of their wild ochre bundles). The bears a super cute once you notice them but oddly subtle. I love pretty much all of the Essex linen blends. One day they shall be mine. What a poignant story. I am so sorry that someone as talented and kind as you had to be so badly treated. It is often hard to move away from such disappointment, but the beauty you are bringing to the world via this pattern and your goodness will come back to you tenfold. Making the world just a bit more beautiful is an amazing gift. As for fabric, it is always Essex linen for me and some pretty chambray. From one Suzy to another, all the best! I am so excited for this pattern! Especially after completing 2 quilts with 2 of your other patterns (Hexi Stripe & Triangle Jitters), with each pattern I find I am challenging myself as a quilter (of only a few years) but watching my love for it grow deeper. I am in love with the Menagerie by Rifle Paper Co. for Cotton & Steel. The watercolor fabric in the line is breathtaking. I believing having stories behind our quilts only adds to their beauty. The first quilt I ever sewed was for my Mom when she was sick in 2013. I drew out a pattern, struggled with figuring out measurements, ended up with something that was no where near perfect, but she loved it & used it until her last breathe. That makes it even more beautiful (even if a few seams have ripped). You inspire me to continue improving, challenging myself, to believe that my love for quilting as a “youngster” isn’t crazy & that anything is still possible. I am commenting because I adore you and this quilt. I sincerely love when people help me out with typos! I don’t have an eye for them and I’d rather know about them than have a typo hanging out and looking bad. I found you on Instagram and love love love your quilts. I haven’t done quilting since school (now 40) but after seeing this pattern am inspired to make for my daughter. 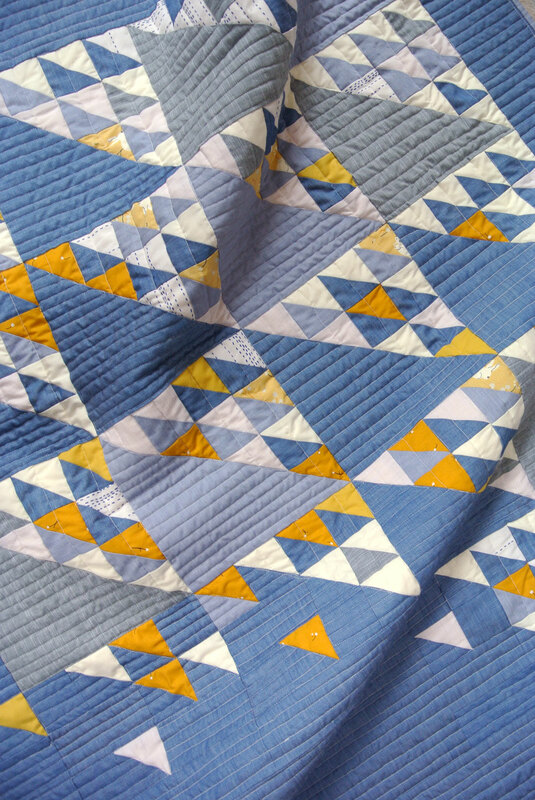 I am currently loving triangles so Fabricworm’s Japanese Import, BARKCLOTH, Painted Triangles Blue is a current favourite …… although I could sit and look at fabric all day! You have mastered the art of combining modern design and cozy comfort! I hope many more opportunities come your way. Kate Spain Early Bird has my imagination ‘spinning away’ just now : ) . Can’t wait to make this quilt! Currently loving Lizzy House’s Printmaking line for Andover on FabricWorm! Congrats on the launch! Beautiful quilt. Thanks for sharing your story behind the quilt. Hard to hear what happened, but so glad you keep moving forward. You have so much to share with the quilting world! My favorite at Fabricworm is Cotton and Steel’s Beauty Shop. Love the pattern and Arroyo on linen. It is such a great line of fabric! 1. You are amazing. Your aesthetic, your passion, your sense of humor, and your dedication to you craft–you are extraordinary Suzy. Don’t you forget it! 2. Coach is bonkers and they don’t even deserve you. 3. I’m obsessing over chickens right now and I’m all in love with Chicken Scratch by Dear Stella! Beautiful pattern. Love all the color variations people choose! I’m liking the Moda Creekside collection, especially meadow midnight. Love this pattern! Your modern quilts have inspired me to learn how to quilt myself! Totally love this quilt!!! My favorites are the original Fly Away quilt, Minimal Purple, and Bohemian. Gorgeous! I love your patter and one day, your blog will be bigger than coach and when they ask you, you simply shrug and refuse. You don’t need them, anyway! I love the Birch fabric, especially School of Fish Royal. Suzyyyyy! Omg. I’m so excited to be able to make this quilt! I’ve swooned over it since you first posted pics of it ages ago. My fabric pick from FabricWorm would have to be nearly anything designed by Rifle Paper Co — I bet this would look pretty neat with a spacey moody background like Celestial Midnight Metallic. Gorgeous stuff. Thank you for sharing your work and your story with us! Beautiful pattern and color variation. Loving the Moda Creekside Collection, especially Meadow Midnight. 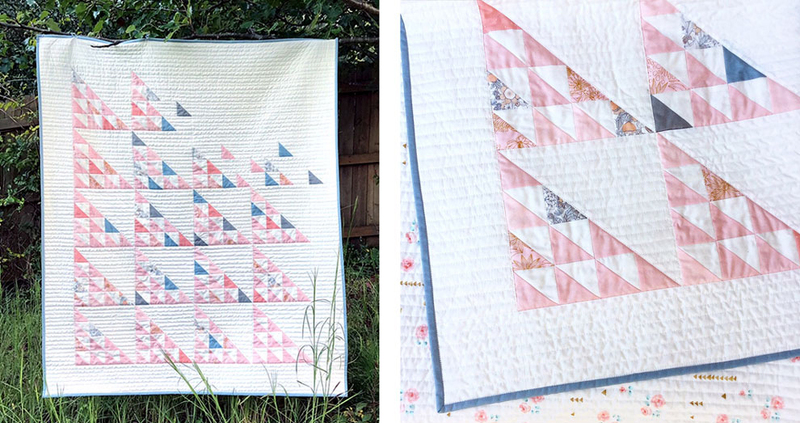 I can’t decide which colour I prefer this quilt in… so beautiful! I’ve been admiring this quilt for so long! Awesome! My fave on Fabricworm is Rifle’s Menagerie in Tapestry Midnight Metallic. I love this design and colors you’ve chosen Suzy! So many beautiful options. Your hand quilting on the last design is so beautiful. It makes this quilt look cozy, comfy, and classic. Fabric worm has so many favorite fabrics to choose from, but right now I have my eye on Arroyo collection by Erin Dollar. Congratulations on the Pattern release! I remember seeing your Black & Yellow version years ago for the first time. 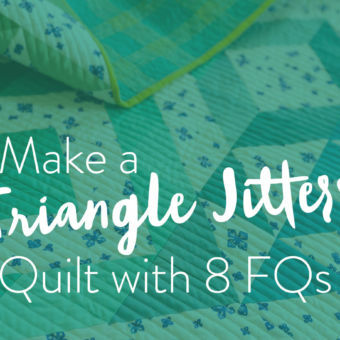 Instantly double taped that and have been following your quilt journey since. I cannot wait to make it. Thank you for sharing your story. Definitely the Lil’ Monsters by Cotton & Steel. Those little cat faces. I’m still dreaming of getting around to making something with the Swan Lake line from Birch Fabrics! Gotta come up with the right project for it though! Thank you for giving us the background story. It seems that lots of us share only the successes, which is odd when you think about it — disappointments and setbacks are far more frequent, and it’s in dealing with them that you can show your ability to grow. You are certainly showing your strength! I love this pattern, and your story makes me love it more. Well done Suzy! Over at Fabricworm I am a sucker for anything Emily Isabella. My heart broke a little as I read this post, but I’m so glad to see this quilt come full circle. I’ve been eagerly waiting for the pattern release. And I have to admit…I’m kinda crushing on the beautiful Creekside fabrics over at Fabric Worm. Thanks for sharing your story. 😢 I’ve always thought of Coach as a bit overrated, and now it’s confirmed! Love this pattern and may you continue to fly … but not away from your dream! 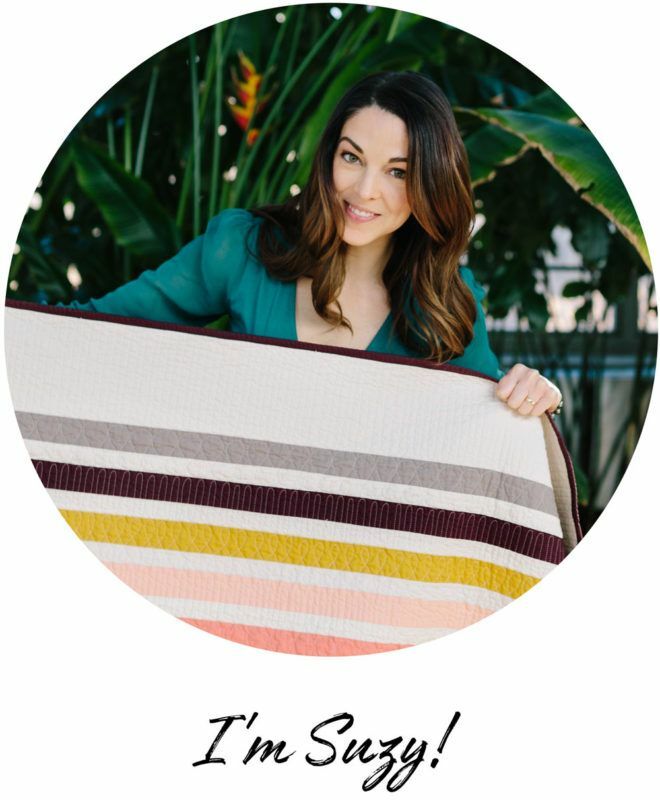 Your work is simply fabulous–I can’t wait to try this pattern! Coach smoach…. I have been coveting the April Rhodes Arizona After collection recently. Not sure what I would create, so I haven’t pulled the trigger. Thank you for the daily giggles on Instagram! This is a beautiful pattern…. Beautiful. Thinking of making this my next project. Thanks for the motivation. Beautiful quilt! It looks so soft and snuggly! Gotta make me one! As far as Coach goes, it truly is their loss. Right now I am loving Welcome to the Jungle by Dear Stella. I am in love with this quilt! There are so many amazing things you can do with it to give it a unique flair. I just found out that I have a new niece or nephew coming in April and am dying to make a baby quilt that will be loved and cherished. I think this is it. I have been trying to find gender neutral fabrics and I love all of the Moda fabric on fabricworm, especially the Big Sky Wild collection! I can’t wait to start this one up! I just finished piecing together my maypole quilt and I am dying over how beautiful it turned out. Thank you for everything you do Suzy! I love Fly Away! …seriously, I love all of your quilts. I’m so sorry for the disappointment, but truly appreciate your transparency & sharing your journey. My favorite fabric that FabricWorm has right now is the organic Pop Dots line. I loved the color way you used on the back of your Maypole quilt! Such a lovely pattern with prints, solids or mixed! I love it! For what it’s worth – I’m glad (as I’m sure MANY others are) that your journey has taken you to where you are now. 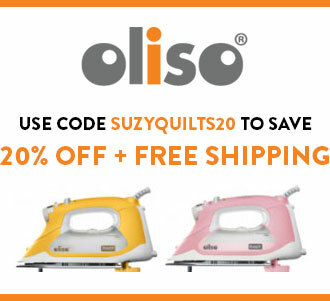 You’re a quilting superstar Suzy. Thanks for sharing with us. And oversharing on IG stories (I mean that in the best way possible, your IG stories always cheer me up!). Hugs (and pats for Scrap)! Can’t wait to see what you two get yourselves into next. I LOVE this pattern. And I always envy your fabric selection! I love this pattern! It’s been fun watching you work on it through your insta stories! I need to finish the quilt I’m working on and this might be next! i’ve been waiting for this pattern to be released!! yay!! i think it would be awesome to make this in the charley harper bird prints from birch organics (works with the “fly away” idea too) that fabricworm has!! I found fabric worm through you and right now I’m loving Arleen Hillyer for Birch Organic Fabrics, Tall Tales, Jackalope! So fun for kids’ projects! Love this quilt! Im really digging the Cosmo Linen Dot in Lavender! Thank you so much for this giveaway and for your quilt designs!! Great job showing the color variations! I’m loving the Dear Stella Fable line. Pretty sure my daughter’s dolls need a new quilt from this line! LOVE this pattern! I’ve been anxiously awaiting it. But I need to know, there’s no such thing as too many quilts right?? I mean, I can make them all for me, yes? What a beautiful pattern! Not sure I can pick a favorite but the Delicate Pink speaks to me. Perhaps because we have our first granddtr soon to arrive. I new to quilting and I haven’t had much experience with different fabrics. I do enjoy Moda fabrics. Solid peachy is my go-to solid these days! I would love to make a quilt with the maritime fabrics! I love this pattern! It’s perfect! Well, it’s definitely Coach’s loss, especially when I see how awesome the Libs Elliott x Absolut Vodka collaboration was. I’m glad your pattern will have a new lease of life! As for fabric selections, so hard! I love Arroyo, but also the two little solids bundles you curated. I can’t wait to use this quilt pattern!! Love it!!!! 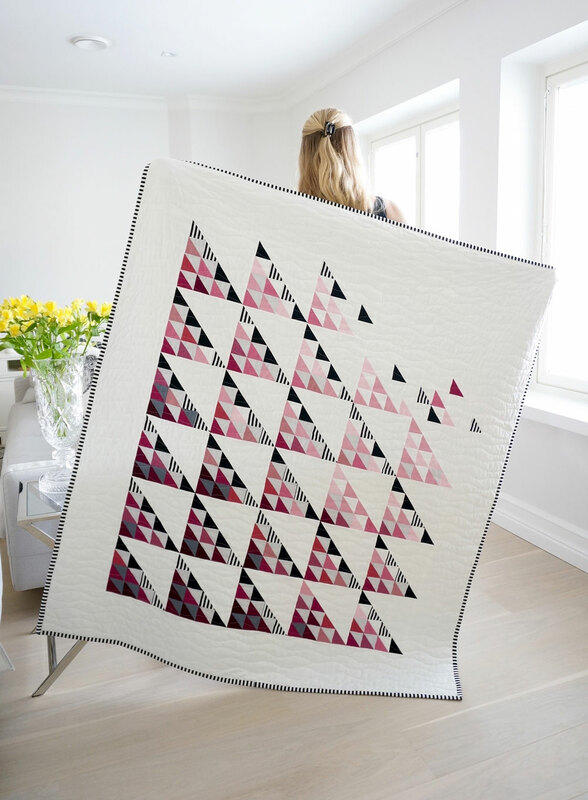 I would love to back a quilt with No Drama Llama, Cacti by Dear Stella!! Love the quilt! Your designs are always fresh and fun. I love this quilt! And your story makes me love it more! I love the Charley Harper fabric at Fabricworm. Your designs are always so fresh and fun! I love this quilt. My favorite fabric at Fabric Worm is Alison Glass, Dear Stella, and Charley Harper. I’d love to win this kit. I love Charley Harper designs, especially the Cardinal. I’m a member of the Cardinal Quilters Club in Spring Valley, WI, after all! Another wonderful pattern. Can’t wait to add this quilt to my collection. Love your curvy hand quilting. So many lovely fabrics to choose from, but favourites are Charley Harper birds and B&C Good Life. I love this quilt and Fabricworm. My favorite fabric there right now is Menagerie by Rifle Paper co.
Hope to bump into you sometime around Chicago! I loveeeeeeee this pattern 😍😍😍😍 and I don’t know where I’ve been, but I just realized you HAND-quilt!!!! Thanks for sharing your heartbreak over Coach. Makes me glad I haven’t bought a purse from them in ages. My absolute favorite fabric right now is the Bonnie & Camille fabric. So bright and fun!!! I love this pattern! I’m currently crushing on Creekside at Fabricworm. Little Monsters Fresh Bats by Cotton & Steel in orange is my favorite fabric on sale at Fabric Worm. I love this, Suzy! 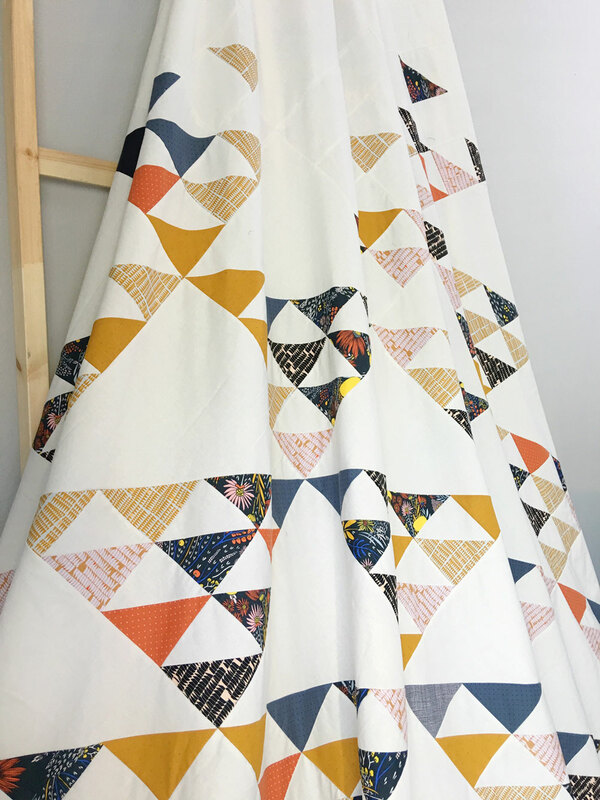 I have made your Stars Hallow quilt and can’t wait to get my hands on another one of your patterns – this might have to be the next one! Fabricworm has such a fabulous assortment of fabrics, but I’m loving the Robert Kaufman plaids and buffalo checks for fall! Oh wow such pretty quilts! I must say I love the purple one!! I’m new to the sewing/quilting game and have found all your blog posts so helpful!!!! Oh this pattern is simply beautiful, especially after reading about the history of its creation. And I love your instastories, keep them coming! Loved reading your story behind the quilt. There are so many possibilities of colour combinations for this quilt. That is what I like about it so much! My favourite fabric from fabricworm is Camp Sur 3 Sly Fox by Jay-Cyn Designs. Love the story behind this quilt. So happy to see something beautiful came from it! Also love seeing all the different color variations. I could see it made in any number of fabrics, but really love the Welcome to the Jungle line. Would be fun to play “spot the animal” with it! Love this quilt! I’d love to make up a version in Arroyo (in Fabricworm’s online shop). The Hills print is so fun! Wow… all the different colorways are beautiful…. This is such a gorgeous pattern, I can’t wait to make it! I am so sorry your world was crushed when Coach dropped the contract. I consider it their loss and our gain. The story of your quilt is amazing and sad all at once. But the pattern’s renewed life seems to be leading to a happy ending. Even if it’s not the one you envisioned. I wish you all the best in your future endeavors. There are so many gorgeous fabrics at FabricWorm. One of my favorites is Charley Harper for Birch Organic Fabrics, Western Birds, Mountain Blue Bird. And in the sale section, oh my goodness, Charley Harper for Birch Fabrics Organic, Nurture, Family Owlbum. So cute! I love the clean yet interesting lines on this quilt. What a beautiful take on a traditional Block! So excited that you’ve released this pattern today! Thank you for the chance to win. I’m currently in love with the Jay-Cyn “camp Sur 3” line at fabricworm.com! A beautiful pattern created by a beautiful person!! 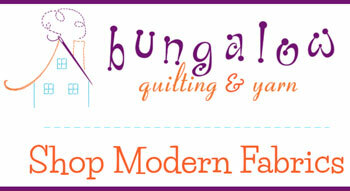 Jenn Ski for Moda’s ninja cookies is looking pretty tempting as a quilt for my mid-mod living room! Love this pattern! So FRESH! Such beautiful quilts and I love the pattern. Thank you for a chance to win. SO VERY ATTRACTIVE! I KNOW I WILL MAKE THIS! I love this quilt and the history behind it. I currently love Fabricworm’s Haiku line by MonaLuna organic. I’ve been waiting for this for awhile. I love Charlie Harper fabric at Fabricworm and have used it for a sweet quilt for my niece. Your Flyaway is fantabulous – no matter the back story. Thanks! I love seeing all the different the different versions of Fly Away! It’s really helpful to see how the various fabric choices and quilting lines change the look and feel of the same pattern. I love Fabricworm’s custom bundles, my favorite right now is Garden Light. Thank you for sharing your Fly Away Quilt backstory. It’s a great story, with excitement and heartbreak all in one. Every colorway I have seen is so beautiful. Your quilt designs are simply gorgeous. I’m excited to sew this pattern. My favorite fabric at Fabricworm, for the moment, is Jay-Cyn Designs Camp Sur 3. Love your instagram stories. Beautiful modern quilt pattern..! LOVE Mod Basics Solid Blooms! Thanks for sharing your neat Quilt!!!! I super love this pattern! I’m so in love with this pattern! I love this quilt! Thank you for all your beautiful quilt patterns that inspire me. My favorite fabric on FabricWorm is any of the Rifle Paper Co. fabrics. Thanks sharing that story! First time here. Love the blog. I really like the camp sure 3 fabric at fabric worm. Probably because it reminds me of happy days in the forest with family. This is such a cute pattern, congratulations on getting it out there finally. Creekside is my favorite new fabric. I really like the C+S Lil’ Monsters Line. The fabric with the little faces and whiskers is so cute! SuzyQuilts are great. I made her “Retro Plaid” pattern and sent it off to college with my grandson. Can’t wait to get started on Fly Away. I’m picking out my fabrics already. Jay-Cyn Designs for Birch Fabrics, Mod Basics, Organic, Ellie Fam Orange, would be my favorite! Would work well in an orange nursery! What a fun , simple pattern- love the color combinations ! Thank you ! This is a great pattern and makes up beautifully in so many combinations! I love most of what Fabricworm offers! But today I looked around the children’s section and chose Jay-Cyn Designs for Birch Organic Fabrics, Camp Sur 3, Sly Fox as my favorite to share in a comment. 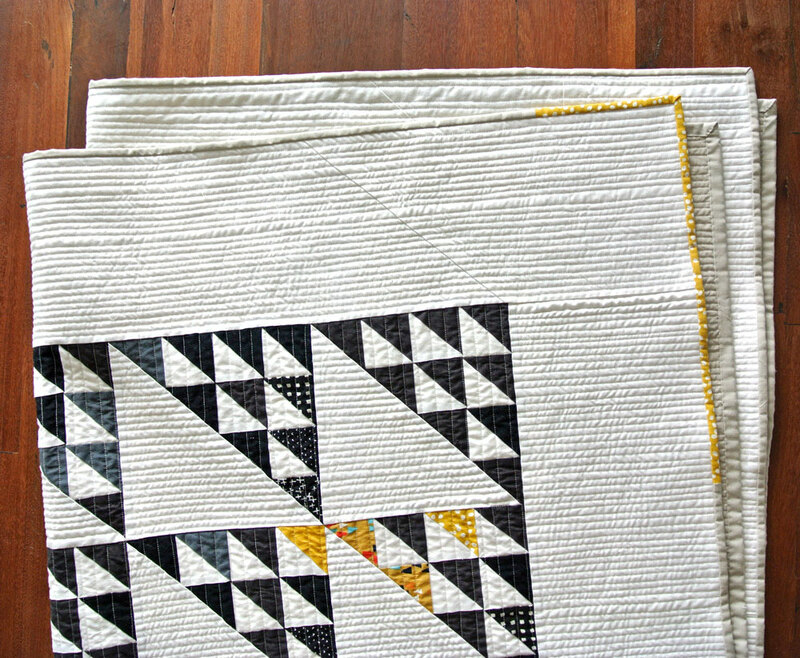 Charley Harper Birch Organics are my favorite, jave made several baby quilts from them. FlyAway is awesome, thinking about making 2 in complementary color schemes for a shared boys room. This quilt is an absolutely gorgeous one, made more special by the message you hoped it would send. And here’s the deal: It does. I’m glad FabricWorm has partnered with you to make it available in kit form, but also for putting this design on my radar. It will very soon be in my collection of patterns. 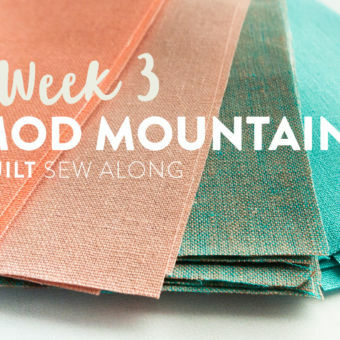 Maybe I’ll be using my current FabricWorm favorite: Moda’s Big Sky line of fabrics. Or maybe it will be a quilt down the line. But either way, thank you for the gorgeous design. Keep it up! P.S. I love that you still love to hand quilt! Wonderful! I’m loving the Charlie Harper fabrics and this Fly Away pattern seems perfect for it! You know, I’m looking at my Coach purse a bit differently now…for some reason I don’t like it as much! Tehehe! Eh, their HUGE loss! I didn’t think I could love this quilt more, but the backstory makes it even better. I’m currently quilting to Brene Brown’s ‘Daring Greatly” audiobook and this is definitely a great example of vulnerability as courage. So thank you! I love that book! And thank you for the sweet comment. Beautiful! Love the pattern. That boho quilt is amazing. Wow! So many lovely combinations of colors, this pattern looks great in so many ways. I love this Quilt and have downloaded it. When I make it I’ll let you know so you can grab your quilt and we’ll fly to London, Paris or Dubai. I have plenty of frequent flyer miles so no worries! Scrappy can come along,too! Thanks for making quilting so much fun! I think Scrappy would hate flying, but count me in! Love this pattern-so fresh looking! I just finished a Maypole quilt and this is going on the list. I love all fabrics, but I’m really into solids right now, especially Essex linen. Gorgeous pattern! I have been eagerly anticipating it’s arrival and I’m thrilled it’s finally here 🙂 I love the poplin kit from Fabric Worm and would be thrilled to win. Thanks!! I’ve been looking forward to this pattern release. I’ve been trying to pick a pattern for my first quilt. My expert quilter mother in law is going to help. I like Birch’s Quail Run Dusk. 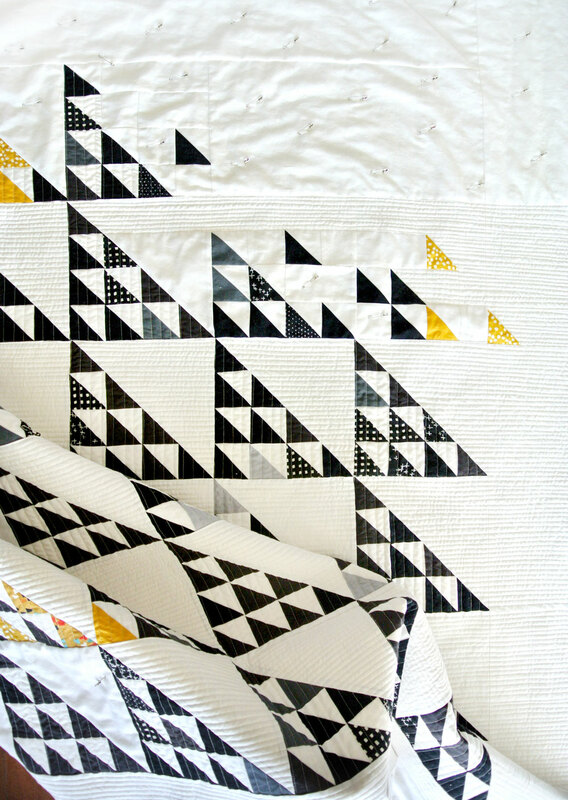 Love, love the Charley Harper fabrics and I love this quilt pattern! I can see it in modern fabrics and in traditional fabrics. It might not be hanging in a Coach display but it will be created by hundreds of women across the world to warm someone they love! I think that’s better than a Coach display! This is such a fun pattern, I love how different it can look depending on the fabric choices. I know this can probably be said of most if not all quilt patterns, but to me some especially feel this way, making my “sewing imagination” work and this is definitely one of them. Favourite fabric from fabricworm.com, that is a tricky question as I love more than one. If I was to choose by designer, it would probably be Karen Lewis, as I love almost all of her fabric fabricworm currently carries, and were I to choose just one of them it would probably be Sunflower Citrus. My other favourites include Erin Dollar’s Hills Peacock, Jay-Cyn Designs Camp Sur 3, Quail Run Dusk and Blue School (and I’d better stop now). The color variations for the quilt are just beautiful. Love the pattern. Love fabricworm, just ordered different colorways of the Japanese painted barkcloth gingham. I’m geeking out over Home Grown by MakowerUK, the Charley Harper hits such a sweet spot in my heart, and a special affinity for all the prints from Rifle Paper Co. I love your quilt. My decision would be which color would I choose. abelle line by Joel Dewberry. Im leaving for Sedona next month! It’s a wonderful pattern Suzy and I can’t wait to make it. Fabric worm have so many gorgeous fabrics it’s hard to pick one – I love Moda’s Big Sky and might have to get me some! An amazing array of colour combinations for your quilt.. so stunning to scroll down and see each one. Fabricworm favourite right now is the Camp Sur 3 range. I love Fabricworm and had the opportunity to visit this past summer! I LOVED touching all of the Birch fabrics. The Charlie Harper designs might be my favorite! Love all of the Fly-Away quilts! Thank you for sharing your story of how you’ve lived out this message! In your planner?? Awwwww I like you. Creek side and Charley Harper designs are my current choices. Another day might bring a different fabric to light as my favorite! Thanks for sharing your story and offering this giveaway. What a beautiful story of redemption!! I’ve had my eye in this quilt, and have truly loved every version I’ve seen. You are an amazing quilter, and appreciate your desire to shar empire patterns with us. Oh….and I checked out a few of your book recommendations! What an encouraging post! 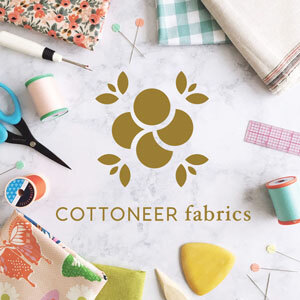 And my favorite fabric line from their site is definitely EVERY COTTON AND STEEL line haha!! Oh that is beautiful! At least something lovely came from that crappy experience. Thanks for a chance to win this giveaway! Great story. I also wish for the day I can quilt full-time. My favorite fabric at Fabricworm would be Western Birds by Charley Harper. Wonderful pattern! I envision this with some of my 40+ years of scraps (think 30’s forward! ), and I would also hand quilt mine. In regard to your horrible experience…..it hasn’t been the ‘how lovely’ moments that have MADE my life, its been those ‘gut wrenching’ ones that have done it. If it weren’t for THOSE, I wouldn’t really appreciate all the blessings that have come my way because I didn’t take ‘the other path’. I truly, truly am grateful for those awful moments — because I am a far happier and loving person because of them. God bless you for sharing your memories, you will never know how it will help someone else….. I was hoping this would be released as a pattern. I love the nani iro birds and bloom fabric in both colour options. I am in complete love with the Charley Harper goodies! Love this pattern!! Modern and current!!! 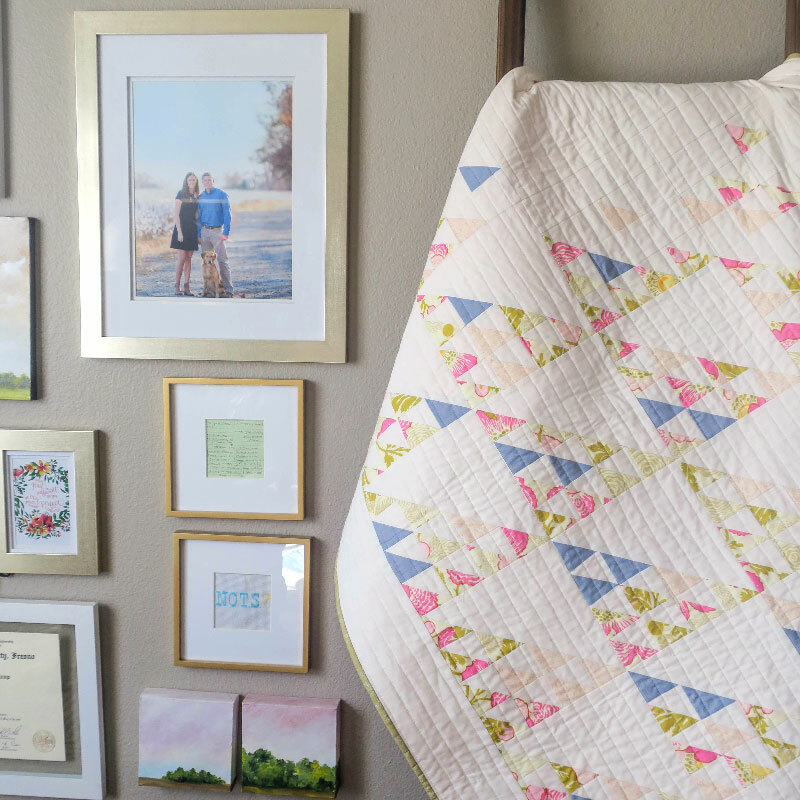 That baby quilt for your baby nephew melts my heart! @ohsewbrooke also posted a beautiful blue/green/violet version. The possibilities are endless!! Currently, I love Charley Harper Western Birds @Fabricworm. I love the organic fabric. The pattern looks great. I liked it in every color. This pattern is stunning! I love the pinks version so much- especially with Breast Cancer awareness month coming up! Your story was sad- and so unjust!!!! My favorite fabric right now on FabricWorm is Charley Harper’s Western Birds. Bypassing coach to first class ✈️ Loved reading your Fly Away quilt’s journey! Gorgeous pattern! I’m sorry – but how does anyone choose a favorite fabric? I love too many and would buy it all if I had unlimited funds – right now my attention goes to plaids. A month ago you couldn’t keep polka dots out of my hands. I love your quilt and hope to someday make one as cheery and happy as yours. Some day I hope to make a behemoth quilt for our master bedroom and this is the pattern I would like to use. (Maybe I’ll even sneak in a few florals and hope the Mister doesn’t notice.) It’s a beautiful design! You’re so brave to share your story! I know each quilt has one, but this is truly inspirational. You’re definitely my go-to for patterns, tips, and tools! Congratulations on the new pattern and all your successes. What a beautiful and clean quilt! I especially love the autumn one with blue geese in them—I can practically see the geese flying through the sky. What a delightful vision. That is a delightful vision! Thank you! Love, love, love!!! So fun following you and Scrap on intragram ❤️ also love reading the blog! Right now I love, love, love Western Birds by Charley Harper. I really like the quilt you made with that as well. On the Fly Away Quilt I enjoy how you eye is drawn across the entire thing. That king example is wonderful. I always want to make one that big (because my husband is a blanket hog) but it’s so intimidating. I’m sorry you never got to work with Coach but I’m so happy to follow your work. Cheers! Great pattern! Just bought it. I just love your Instagram stories. They are hilarious. Thanks for sharing that — we’re so lucky to have you (and all things Scrappy!). Sometimes it’s hard to see the bullets we dodge as they come by us so fast, but the email me its tone is a good indicator of the (not-so-good) company culture! I think you’re pretty amazing, and I look forward to your instastories every day! Moda Shibori 2 looks really nice! This is such a lovely pattern! And while it has a not so happy backstory, it is also a symbol of your perseverance! 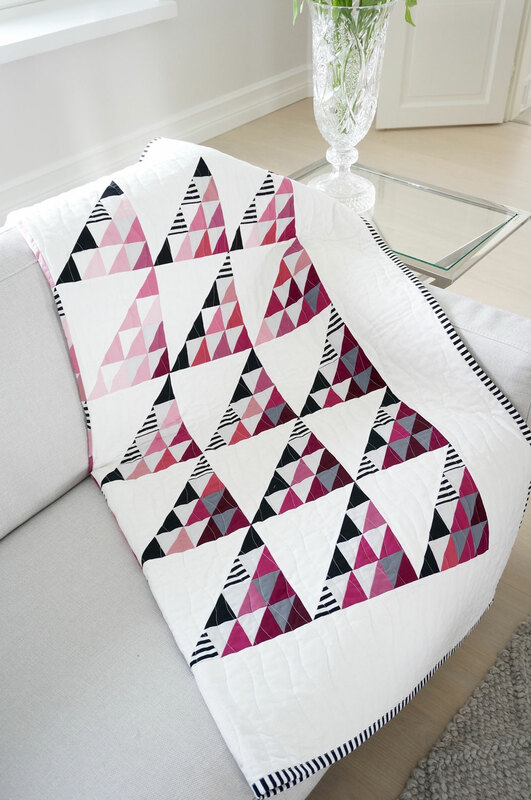 I’m a relatively new quilter so have mostly worked with prints – but now I’m getting quite fascinated with solids and I am really loving the fabrics in Pigment by Melody Miller for Cotton + Steel at fabricworm.com. This is beautiful! I love triangles and I love the different color palettes you’ve shown here (especially the chambray–maybe I’ll use a similar color theme for my little nephews). love the chambray, love how the bunnies can just hop away hee hee . really awesome quilt looks like it makes you happy too! I have purchased every available Charlie Harper fabric available via fabricworm. Hands down my favorite. I love the wide variety of colors the designers have used. I find using triangles in my sewing adds some interest …and it keeps me on my toes when sewing them! I just love this quilt! It looks like a ton of fun to make! P.S. I 💖💖💖 your pup! First I’ve got to *sniff* grab a tissue *sniff* after that heart-string-tugging story! Oh my, so close! Thanks for sharing. *sniff* Okay, I’m alright now. I’m a huge fan of Charley Harper & love Maritime & Western Birds. I also love all the Pop Dots that Fabricworm carries. Thanks for the great giveaway, Suzy! I just am finishing the binding of a baby sized Indian Summer quilt from your pattern! Shall I send you a photo? I used silks, silk linens and silk rayon fabrics from thrifted clothes. And then this Fly Away pattern pops up. Why do I get drawn to your patterns? Modern and a bit quirky, and mixing of fabrics and colors. I’d love to make this quilt! My favorite is the purple! Love it. thank you for sharing your story, it’s inspiring to just hang in there. I loved the chambray version. The cotton + steel little monsters is my favorite right now, it’s almost October! Love your quilt. I like Creekside Daytime. I loved the whole Miriam Bos collection for Birch Organics, but The Hidden Garden in Sproutlet Dusk looks like the perfect quirky neutral. And I love this pattern! Beautiful quilt! One of my favorites is Bonnie & Camille for Moda, The Good Life. Love the on the lanai barkcloth by hoffman fabrics!! Love this pattern!!! The hand quilting is beautiful!!! It’s just the way I would make it!! Fabric.com is the hedgehog parade. Also, all the Cotton + Steel Christmas fabric is on sale at Fabricworm right now… which is basically killing me right now. You are a quilting rock star! Thanks for sharing your ups and downs with us. Hopefully some of the sting is gone with the release of this beautiful quilt. The world is a better place when we create and share beautiful things. Rock on Suzy Quilts! Love this pattern and Coach is really missing out on your talent. My fav fabric.com print is be hedgehog parade. I love the mods creek side collection and the great Big stitch quilting. I love this pattern and can’t wait to make it! I’m sorry about your story. I am glad that there is a whole lot of awesome that came from it, eg, this quilt. Keep on keeping on. One of my favorite bundles on the website (because I can’t pick one print!) is Big Sky, in Forest. Those little bears and woodland creatures are so cute. I love the colors in this quilt, we in Houston can use all the peace and harmony we can get right now. As an architect, I am so in love with this amazing geometric pattern! Plus, this pattern comes with a KING option! This will definitely be my first quilt and I can’t wait! I love this pattern! I love all the organic Birch fabrics at Fabricworm. They have so much variety! My fav line so far is Big Sky! I really like Montana Azure from the line, it’d make a sweet wholecloth baby quilt. I’m really glad to hear the story behind the quilt it’s a great reminder that sh*t happens to everyone, we’re truly not alone. I’m sure it isn’t easy sharing hopes, dreams and sorrows with so many strangers, even if those strangers love all your quilt designs 😉! Love this quilt pattern! Ooh I’m eyeing that llama fabric, Florabelle, by Dewberry. And lots of stunning Birch fabrics. Love this quilt! I am sorry your Coach contract did not work out but you are stronger for the experience! Beautiful quilt pattern & quilts! I really like the Charley Harper Western Birds line. It is how I came across your blog. Thank you for your inspiration! Well well well, I am shaking my fist at coach! What a terrible experience, but kinda great experience all at the same time. All I can think is, how rude! But thankfully you moved on, your work is amazing and they do not deserve your time. As for my favourite fabric, well there is too much I am currently dreaming of, but since A Halloween quilt is next on my list, I would say lil monsters! Fly Away! is one quilt to be very proud of. It’s gorgeous. Jay-Cyn Designs for Birch Organic Fabrics, Farm Fresh, Woven is my favourite at Fabricworm. I love the Lizzy House for Andover Printmaking line on Fabricworm! So many possibilities with this pattern. I love Moda fabric and could already visualize this in fabric from my stash. This is such a beautiful pattern – I love every version that I’ve seen. Thank you for sharing the story about Coach. It sounds heart-breaking, and I’m so sorry to hear that happened. I can’t wait to make this pattern. I am obsessed with all of your patterns (especially this one)! 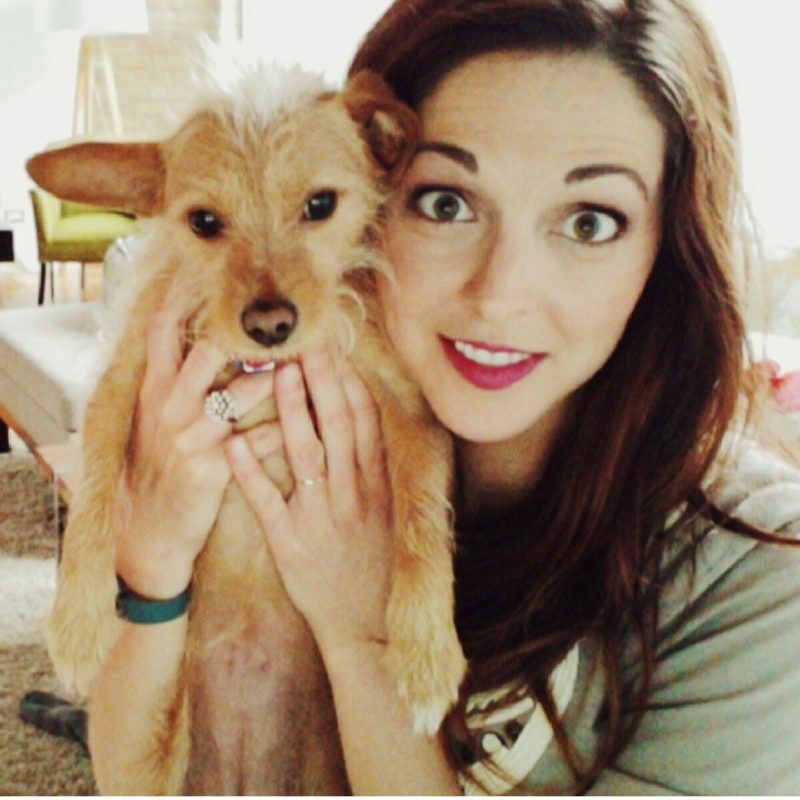 Super excited for Scrappy’s Blog to start! I would love to win this ! It’s absolutely gorgeous! This is such an eye-catching design! 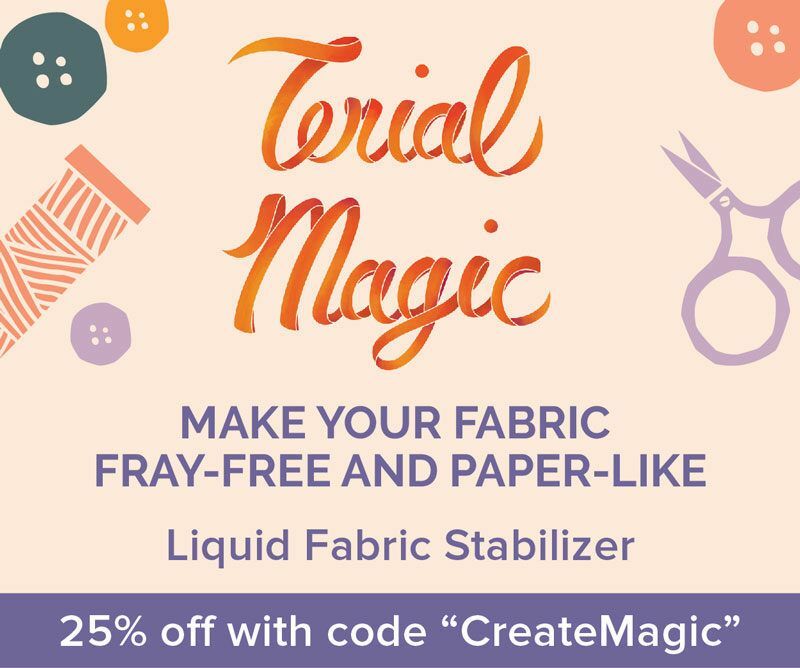 I love all of Alexia Abegg’s fabric lines from Cotton + Steel, and Fabricworm still carries a few of her Print Shop fabrics! Can’t wait for her new line, Sienna, to be released! I love the moon phase shroom fabric! I’ve never seen that one before. 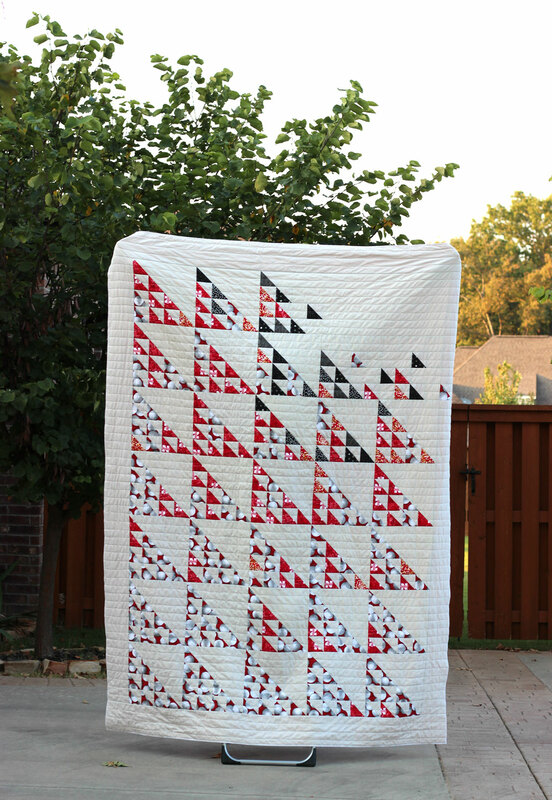 There were a couple others vying for my attention though… Love your new quilt kit! That story broke my heart! Beautiful quilt!!! Thanks for the chance to win this great giveaway!!! I love this pattern! Perfect for beginner or expert! Would be cool to add a few cork or leather scraps! I love how all of the examples are so different but all so beautiful. This pattern beautifully lends itself to such unique designs! My favorite right now is Amy Sinibaldi’s Tree Farm Lit. Love Fly Away! I’m a newbie to quilting but Fly Away is one I want to tackle down the road. So many wonderful fabrics over at Fabricworm…Echino Birding Canvas Birdsong Blue is a current crush!! I love Kate Spain fabric. I’m currently wild about her Merry Merry line, which is at Fabricworm. I enjoyed all the quilts featured in this blog post, especially Bohemian’s colors. After browsing in Fabricworm, Amy Sinibaldi’s Little Town print “Snow Crystals, Jolly” would be a favorite. Thanks for all the inspiration I receive from your blog and newsletter, Suzy. I once carved a stamp that simply said “Fly Away.” My friend, artist Susan “Lucky” Shie used it in a quilt she made for an exhibit I curated about George Washington and his nine slaves. Fly Away meant “steal away” or run away. After reading your COACH story I am happy for you that you have flown away and now have complete creative freedom! Wishing you much success, I really like this pattern! Michelle, thank you for telling me that! I’m tearing up thinking about the historic context of the words. Your words are very sweet and empowering. This pattern works in every color way! I love it!!! Suzy, you are such an inspiration and I’m in love with this quilt! Thank you for sharing your story here. I love your videos, your tutorials are helping me so much, you are a great writer, and the joy you bring to all of it is contagious! (Not just saying this for the giveaway, I thought it before, but now I’m inspired to actually write it out.) You are amazing and I can’t wait to make your Fly Away quilt! Ash (Can I call you Ash? I feel like we’re friends already and nicknames are in order), your words are so incredibly encouraging! Working alone every day I usually have to be my own cheerleader, but with beautiful words like this, I can rest on your wonderful compliment. Thank you! Ash is what my friends call me! Girl I hear you on working alone/for yourself! I don’t know what I would do without my current coworkers. Though you are doing what some people dream of doing. Have you ever picked up the book, In the Company of Women by Grace Bonney? It’s on my list but I feel like it might also inspire you. Thanks for sharing the beautiful pattern with the world! I would love to get my hands on some Shibori II by Moda from Fabricworm. Thank you for posting so many color variations of your Fly Away pattern! It’s inspiring to see how versatile it is. Right now I’m loving Amy Sinbaldi’s Little Town collection for Art Gallery Fabrics, especially Season Carols. Even though it’s a holiday line, many of the prints work well all year! Thanks to you, Fabricworm, and SewMondo for making your beautiful design available to all of us. Wow that story sounds rough – so sorry to hear. But I think it’s amazing how you pulled through and made your dream come true anyways, I love female empowerment stories like that! My current favorite at fabric worm right now is the Little Town collection by Any Sinibaldi, because I’m a total Christmas fanatic and I just love the colors and the subtle design. I really like the Jay Cyn birch organic Camp line. It is so funny. Fly Away is a great pattern. I like the purple version. I absolutely love this pattern, especially how geometric it is. I recently started making the Indian summer quilt as a house warming present for my parents, and would love to be able to do more of your quilts! Btw, your Instagram stories… I love them! They never fail to make me smile. I love birds and blooms by Nani iro! So much to choose from at Fabricworm! I love all th Alison Glass Handcrafted & new Chroma line too!!! So gorgeous! Thanks for the chance to win the kit for Fly Away! I am glad you were able to move past the Coach disappointment & go on with your quilty career. We all get the benefit of your brave heart. I love it. I will make one and send you a picture from a beach in Australia! I forgot to mention I love fabric worm. At the moment Tula Pink Spirit Animal is my favourite. How awesome would fly away be in Spirit Animal! Thank you for sharing from your heart the story behind this quilt. Sometimes, what might seem like “second best” ends up to be truly the best thing that could’ve happened. At the time, we feel cheated or rejected, but later on when we look back on it, we can see clearer and better, and sometimes it’s a huge blessing, that it did turn out that way after all. Great pattern! It is on my to do list. Thank you for the lovely pattern! Any fabric and scrap can be used! Beautiful quilt, congratulations! I love the Charley Harper collection and dear Stella. Love the quilt, great pattern. My 5yo son who has been in bed with me since 6am with a bad dream says his favorite fabric is Jay-Cyn Designs for Birch Organic Fabrics, Camp Sur 3, Camper Rally. I think it would make a cute quilt. Congrats on your pattern release. Rejection letter, take that!! The Fly Away is really an awesome pattern and something every quilter can be proud of working on. My kids will love it. I love the Moda Creekside. This quilt is so versatile. I love to see how fabric changes the look of this quilt. Kind of obsessed with Moda, Compositions, Newsprint Fog for this one. Just imagining all the copy editors who could snuggle up under one of these quilts while wishing they could fly away, proofing get another article/story/whatever. And now that I said it, I’m struck by the irony of the pattern name. Has that always been the name? I can’t wait to make this quilt! Thank you for sharing your story. I love this quilt! Creekside Mornings 6 by Moda is on my wishlist! Your blog posts are so informative Suzy! Keep it up I love your Instagram too! I like all the colour iterations. If I had to pick just one it would be Minimal Purple. I love the simplicity of the pattern, and yet the colour placement can be as intricate as your imagination allows! Western birds! Thanks for the opportunity to win! I didn’t expect so many others to also pick Charlie Harper’s Western Birds! But maybe I should have – of course birders would love a pattern called Fly Away. Such a clean design yet so evocative. Suzy, you are such an inspiration to me! I come from a family of quilters, but I never really took up interest until maybe a year ago and I find your quilts so beautiful and intricate! I often browse your instagram for ideas, and to be completely honest I got lost reading your blogs and had to remember to comment after about 15min of browsing. 🙈 Anyways, i’m loving the Big Sky Montana Forest by Moda. I may just have to scoop that one up! I can’t wait to make this quilt! I started hand quilting because of you. Thanks to your quilters candy box I already had everything I needed! Thank you for sharing, something that could not have been easy to do. I really like your style. I first found you with Mod Melons Quilt Pattern. Have enjoyed your quilts since then. Fabricworm fabric – Home grown by Makower UK. I appreciate the chance to win! Hi Scrappy! I’m going to make this pattern for sure, those clean lines are calling me. Probably in Robert Kaufman Kona Cotton from Fabricworm – solids are my jam right now. Such a lovely quilt and inspiring story. I’m loving all the Charley Harper bird prints fabricworm has. 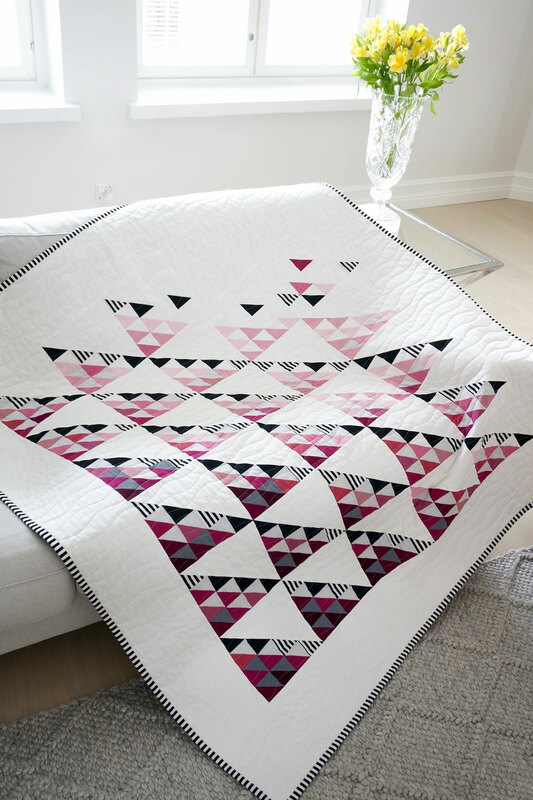 OMG, I LOVE every version of this quilt design that I’ve seen so far – it is FABULOUS!!! Okay – at Fabricworm first I was all over Shimmer from Jennifer Sampou, then it was GASP! Charley Harper – love and adore all things Charley Harper!! – then I saw the Lanai Barkcloth line……and on and on it goes. Pleeeeease don’t make me choose just one! What a whispy beauty! The pattern is so versatile; and I do enjoy triangles. I love this quilt! I would be so happy to get a kit! I love your material ! I’m ahead into quilting and I love it ! You are my favorite quilter! Not only do I love your patterns and style, but you make quilting so fun! I always enjoy your Instagram stories. Maybe if the Coach thing had worked out you wouldn’t be on Instagram like you are and none of us would know and adore you like we do!?!? Just a thought. I heart all of Alison Glass’s fabrics, but I’m currently lusting over her Chroma Plaid in Shadow! awwwww You just made my day! Thanks, boo! Awesome Giveaway! I’ve always had a thing for fabric bundles, and if I could chose one right now it would have to be C+S new beauty shop!!! Oh I love your quilt and all the variations! I would love to make this quilt too and perhaps use some flowery fabrics or a line by French General. The simplicity makes the design very easy on the eye. I rarely know just where to place the colors. Nope! Totally didn’t go through yesterday! 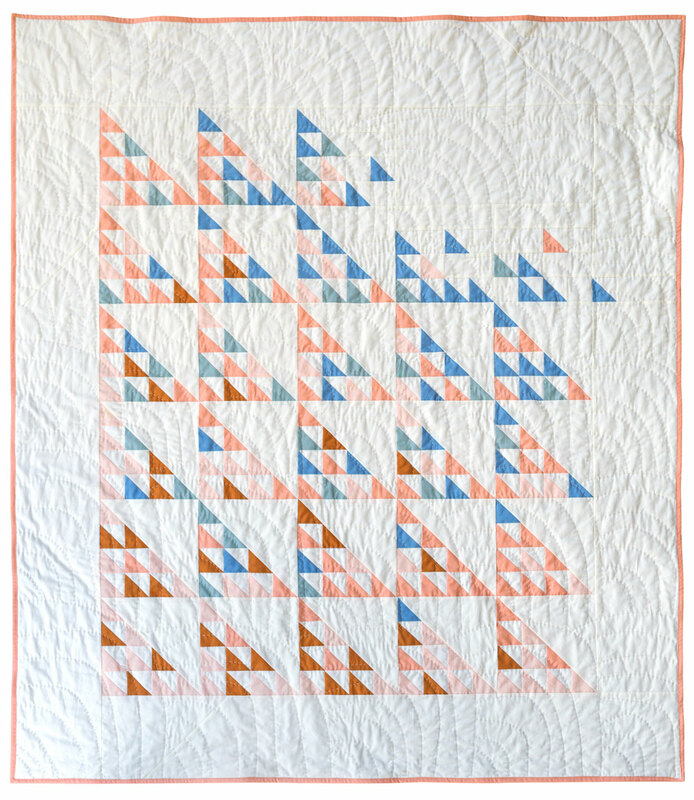 As I was supposedly saying last night, I would totally make the cutest baby quilt with the Jay-Cyn mod basics! And thank you again (I know I already replied to your insta story) for sharing the story behind the quilt, and you still get to share its wonderfulness (not sure if that’s a word) with us and we’re all so excited! 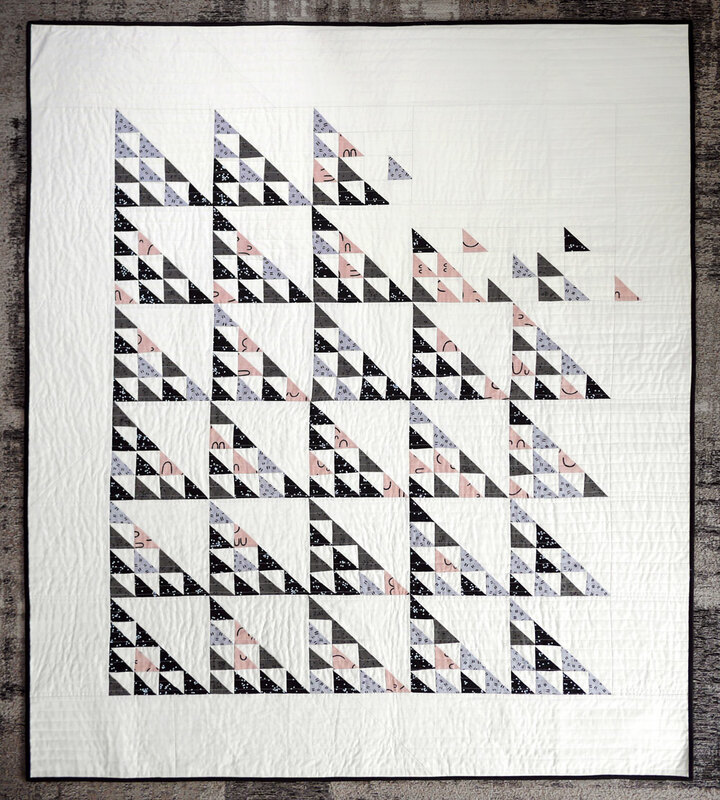 I love the constellation double gauze–and I just love this quilt. 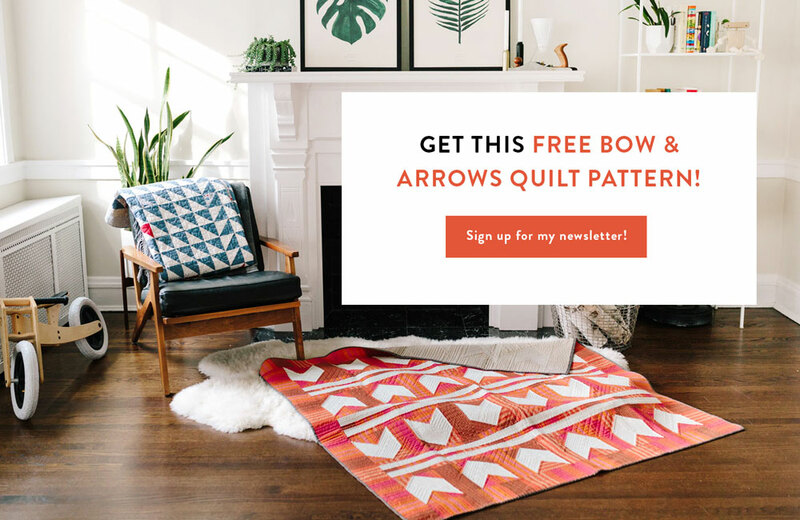 It’s so touching–which is funny to say about a quilt pattern, but it reminds me of my Midwestern / Upper Midwestern roots, without seeming stale. I just started quilting more seriously, and I”m so excited to make this! You’re a huge inspiration to me. I’m a simple girl and I am going with quilting cotton. I am loving the meow or never by Erin miller! So cute!! Oh all the color combos you could do with this pattern 😱 Makes me want to start another quilt before finishing my current one..imagine that! Lovely pattern! There will be more opportunities I’m sure of it! I’m loving Denyse Schmidt’s Winter Walk fabric and Fabricworm has a great selection. This pattern is so versatile! My favorite sale fabric at Fabricworm is Amy Sinibaldi for Art Gallery, Little Town, Snow Crystals Jolly. Thank you for sharing your story! I’m glad that you see the positive that came from it. You’re an inspiration. Very gorgeous quilts especially the quilted one at the end. I would love to see more tutorials about doing hand quilting. I am a fan of Fabric Worm, I really like the Joel Dewberry for Free Spirit in all three color ways. I love this pattern ❤️ And I am crushing on everything Alison Glass at the moment!! I’m just getting started with quilting and love this! The fable collection from fabric worm is my favorite. So beautiful! Glad you persevered! I love the Charley Harper Western Birds collection. Another gorgeous quilt pattern Suzy! I love the clean crisp look of Flyaway!! I’m currently crushing on the new Creekside line by A Quilting Life at Fabricworm! If I make this quilt once (which I will because, I mean, look at it, and the color combinations galore 😍) I will have to make it at least one hundred more times, no exaggeration, for every member of my family. Plus they will want it for all their beds, and their couches, and their next door neighbors, cousins, best friends wedding and baby showers. I will be making this quilt a lot, which I’m excited about because it’s amazing. Another pattern knocked out of the park! Suzy, you are so awesome! Every quilt you make is amazing and it’s so refreshing to see modern quilt patterns that still give you warm fuzzies inside. I love this pattern! The fabric I liked on Fabricworm is the Moda Creekside Mornings FQ bundle. The flowers remind me of spring mornings spent in my Mom’s garden and the grey clouds remind me of Illinois summer thunderstorms. So cute. I’m liking Moda’s Big Sky line. But really it’s too hard to choose a favorite! Beautiful quilt and beautifully honest story. As a new quilter I’m coveting so many fabrics to build my small stash😕 I particularly like Western Birds and Creekside. Thanks for the chance to win! I am in love with this pattern! The pick and black/grey one is my favourite. You’re so talented and so inspiring! Keep doing you! Oh I hope this comment isn’t adding to your spam burden!!! Thank you for sharing your story…I am sorry for the lows it must’ve brought, but am happy for Fly Away and any other patterns that you came through this amazingly happy/sad collaboration! I love the Alison Glass Handcrafted Patchwork, especially artifact in Navy, and Gun Metal! Congratulations on bringing this beauty to the light it deserves! I adore the Moda Big Sky Montana Forest Fabric. So adorable!!!! I love your quilts and I can’t wait to start another one. Of all the famous quilters out there, your quilt designs are my absolute favorite. Someday, I hope you will show us the other designs you made Coach. beautiful quilt with a good story. My dad always says with opportunity comes challenge and with challenges comes opportunity. Sounds like Coach opened some doors to other opportunities. Congrats. I showed the picture of the original quilt (against a brick wall) to my husband, as I’m trying to find a pattern he likes to make a quilt for our new boat, and he really liked it, which is really rare. He said the close quilting lines reminded him of the blankets his grandmother made on her loom (catalogne covers). He actually thought it was a mix of quilt and loom! As for the giveaway, I have to admit I have a sweet spot for any Charley Harper collections. Thank you so much for sharing that touching story! I am so sorry the Coach contract did not work out but I love your quilts and I am so glad you released this pattern on its own. Also thanks for introducing me to a Fabricworm shop! They have amazing $5 steals that I had no idea about! I am driving but Birch fabric bundle called Daydream. I am liking most everything I see, but the Rifle Paper Co. fabrics are pretty great! Love your quilt!!!! I’m boring. I love solids. The birch Organic Solid Slate & Solid Timber are pretty… solid 👊🏼 But man, anything by Charlie Harper is pretty freaking dreamy. Love love the flyaway quilt😍 All your quilt designs are so modern and refreshing and the colors choice are so lovely , just simply loving them. My favourite fabric is the Menagerie by Rifle Paper Co. for Cotton and Steel. I love your quilt! Joel Dewberry – wander is very pretty. Your story is inspirational! Just like most.. going through the muck is no fun, but the end is priceless! Thanks for trudging forward and sharing your creativity with the world! I love your pattern! Flyaway is the perfect name for this soaring design. And thank you for sharing the story of it. My favorite fabric at Fabricwom is Chroma by Alison Glass. I love this pattern. I am working on my 4th quilt – after years of not sewing and I am loving it! I absolutely love the children prints – all of them – Stacey Iest Hsu, Sevenberry, gosh there are so many different ones that I love!!! It’s hard to actually pick a favorite!!! I love Fabric Worm!!! I am totally in love with this quilt! After reading the story behind it, makes me love it even more. Thank you so much for sharing. That couldn’t have been too easy. Beautiful. I can wait to make this one myself. I am loving Menagerie by rifle paper co for cotton and steel right now. The Charley Harper line is my favorite right now! Wow. Thank you for sharing your Coach story. You inspire me to keep at it with whatever I have going on at the moment. I love the Dear Stella Jet Setter with the planes! Ugh. That would be so crushing. I love this quilt and cannot wait to make one. A fabric I’ve been eyeing is the Unicorn Fabric from Cotton and Steels Magic Forest. I love it in both color ways. I love this quilt. I have been admiring it on Instagram. LOVE this pattern and so excited to try it. Moving into a new place next weekend that will have a whole room for sewing and this would be the perfect first pattern to make. I love this pattern, you could literally use any fabric line and it would look great. Loved killing time looking at all the quilts, I’m a billion months pregnant and it brightened my day. Camp Sur has my vote. What fun! Since you’re busy with SPAM right now 😜… I’ll keep this short! Simply beautiful!! Ok, so seriously, you are the most hilariously funny, bright, and entertaining quilting person I’ve ever had the pleasure to follow! You crack me up on the daily, and you made something I love turn into something I love even more! Keep up the good work with the camera, and the insta clips. You were born for this! I love western birds by Charley Harper. Thanks for the chance to win! I really like the yarn dyed chambray! I’m so happy to have “happened” onto your site! I love that you shared your story of rejection. So relatable! Thank you for your transparency. Beautiful inside and out . Quilting is my passion, my sewing room is my “happy place”. Fear and negativity a constant menance. Glad to know I’m in good company! 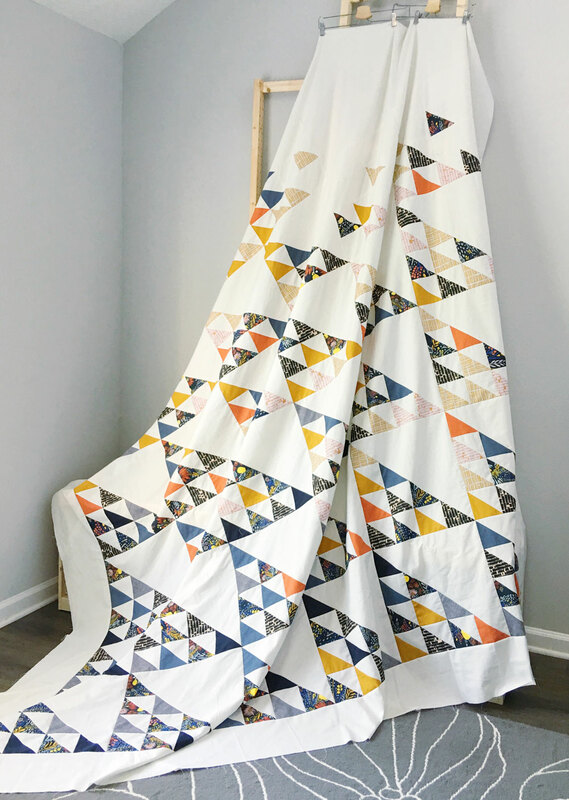 I’m obsessed with this pattern & half square triangle goodness… just pondering all of the fabric combo possibilities 🙂 Bummer about coach, but all part of the mystery of life, and this beaut came out of it! I am so inspired by your quilts! Super excited to have found your IG account. I love the Nani Iro (always!) Meadows fabric at Fabricworm. I’ve been sitting here, mulling over the difference between “on sale” and “for sale” and which you really meant – since “on sale” is both… I looked there. I love the Birch Organic Fabrics Pop Dots Black (gauze). I love that you are including multiple sizes in your patterns – I’m trying to decide if Fly Away needs to be on my bed. Oh Suzy, this pattern is fabulous! Love all the variations I’m seeing!! So Coach says no…this beauty goes on to be featured in magazine and QuiltCon? Nothing disappointing about that! Looking forward to this pattern and appreciating your beautiful work. I’m loving the Nani Iro Birds and Blooms line. Thanks for the giveaway chance! Talent shows in all these beautifully designed quilts. My favorite fabric from Fabric Worms is definitely the Organic fabrics and Birch Organic Firefly dots pond in green. I’m so glad I found your blog. Your quilts color choices and design are a real inspiration. It makes me want to get back to sewing immediately! Suzy, the picture that you sent with the e-mail/newsletter is beautiful! The quilt design and color, your hair, the wood color… just perfect! Very hard to choose a favorite, but today I would go with the custom bundle My Favorite Things. I think it would great on a Fly Away. I love the art gallery fabrics, specifically Yuma Lemons Mist. What a great giveaway! Suzy, I’m glad you shared that story with us. What a bummer, but you are pretty strong to keep going in the face of that rejection! I’m so glad you have because I love your designs. My favorite fabric on FabricWorm is probably April Rhodes. I love her Observer line SO FREAKING MUCH! I would love to win this quilt kit. I’m slowly getting back into quilting after taking a two year break and I’m so glad to have found your blog. It just makes me so exciting about quilting again. I love this pattern and am loving florals right now. Crushing on the fable by Rae Ritchie! Would be so cute for my little girls “big girl” bed quilt! I can’t wait to make this quilt! The Hidden Garden Quilt was my first quilt ever and I’m hooked. Thanks for sharing your Coach story. Love to hear all the ups and downs of making your passion into a business. What a story of turning a lemon into lemonade. You go girl! I love your patterns, creativity and being real. A favorite is Jay-Cyn Designs for Birch Organic Fabrics, Trans-Pacific line. My husband is an aeronautical buff and I want to make him a quilt from this line. Thank you for sharing your story! Love this pattern. Traditional with a modern color twist. And what gorgeous color variety you showed for inspiration! Guess I also need to try bamboo batting! I love Rifle paper Co. fabrics. Sorry to hear your story, I’d say they made a big mistake! I’m new to the quilt world and love this pattern and all the colours about it! I’d find a perfect match! Everything Fabricworm does is 😍! If I had to pick one, it would be a Charley Harper print in a double gauze. I love this I love this pattern! Really I love all of your patterns. Thanks for the giveaway! Love the pattern. I really like the Camper Sur 3 line and of course, the Florabelle line! love the birch organics camping fabrics on fabricworm! I love this pattern. It’s modern and traditional. I can’t wait to make it. ❤️❤️ Shimmer On Hexagon- Jennifer Sampou for Robert Kaufman is my favorite fabric at fabricworm.com. what a beautiful quilt! i especially love the quilting! This pattern is lovely and I love all the colour choices you display. Great design! Oh my goodness I can’t even believe you made it through all the comments! I have not done a quilt before, but I really want to. In Fabricworms shop I love all the Outback Wife’s collection, it’s just beautiful. Wonderful quilts. Their loss for sure. LOVE the pattern. “simple” designs are my favorite. love the new fabric with little otters on it. cannot remember the name, but it’s grey and adorable! Wow, that certainly was a brutal rejection but I’m so happy that this pattern happened as part of that experience. And it really is valuable to hear the lows as well as the highs of someone’s quilting career. My favourite Fabricworm fabric is the Japanese import double gauze Moon &Stars in black. I just ordered the Dakota yarn dyed fabric (all of them!). Can’t wait to use them. Love your latest creations. Fingers crossed! I’m new to quilting and would love ❤️ to try this beautiful pattern. I think Fabric Worm is becoming addictive! I adore this quilt… and loved hearing the back story! 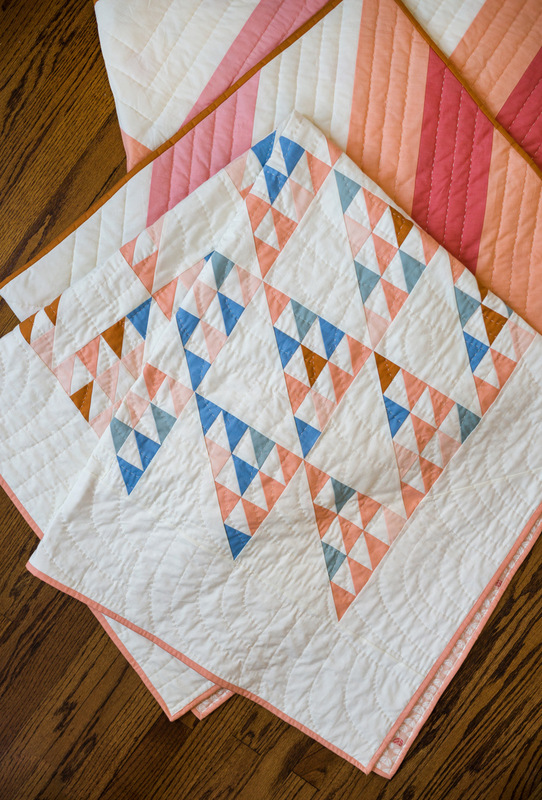 I have a random question… I love the way you hand quilted this latest version. How did you keep it looking orderly but not perfect at the same time? Did you use the Hera marker and mark your lines out and just do one fan at a time or what was your method? I’m totally new to quilting, and I have to say, this pattern is super inspiring. I love the contrasting dark on light, and bright yellow pop. When I first saw this in your shop I literally let out an audible gasp, because I loved it so much. Beautiful. That’s so wonderful to hear! Thank you! 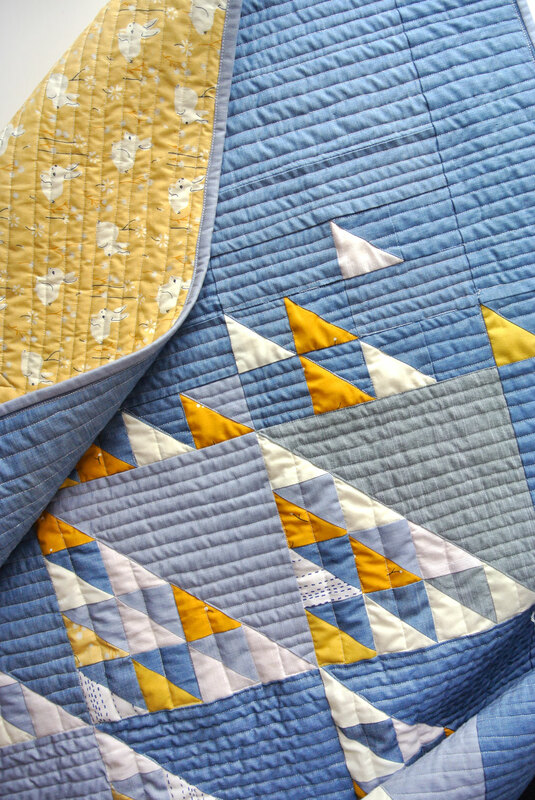 I’d love to learn more about how you designed the quilting the 2015 version – the more I poke around your site, the more I realize how charmed I am by the quilting complementing the designs so well! Thank you, Helen! I favor simple quilting that compliments the quilt pattern. Typically I just follow the piecing with horizontal or vertical lines and vary the density to to add dimension and interest.